Nutritionist and Wellness Consultant. 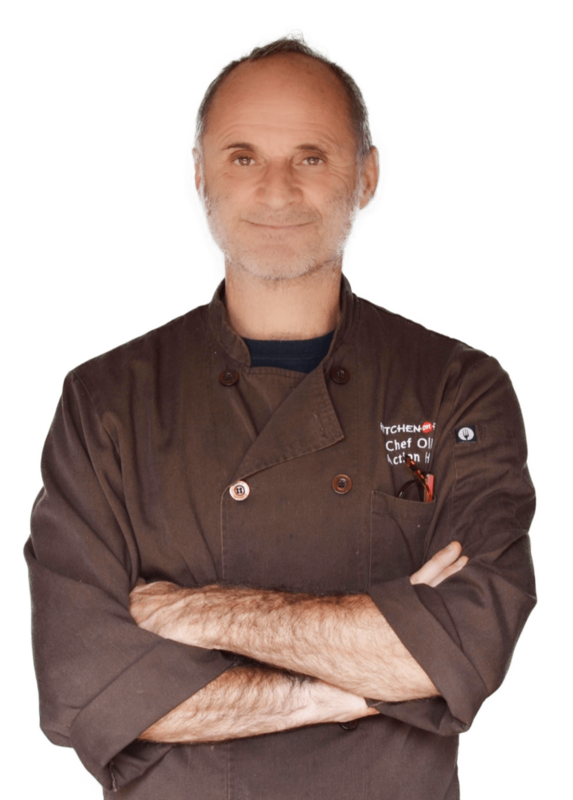 One of the East Bay’s popular culinary personalities, Olivier Said is the co-founder of the acclaimed KITCHEN ON FIRE cooking school, located two doors away from Alice Waters’ landmark Chez Panisse Restaurant in the heart of Berkeley’s famed Gourmet Ghetto. Born and raised in France, he is the descendant of at least five generations of restaurateurs dating back to the early 1750s in France. Said began his career at the age of 15 in his mother’s Paris restaurant. He moved to Los Angeles in the early 1980s and worked at Ken Frank’s La Toque, one of the first restaurants in the country to feature California nouvelle cuisine. In 1987, Said returned to Paris and opened his own restaurant, the very popular Texas Coyote, which included three sprawling bars and a night club. It had frequent reviews in the press such as Gault Millau, Vogue, Le Point, Le Nouvel Observateur, Le Monde, Paris Capital magazine, Liberation and Marie Claire. Olivier Said was a regular guest host on the number two national radio station in France, Skyrock, live from his restaurant. After returning to the States in the late 1990s, he joined the management team at Berkeley’s Cesar Tapas Bar, founded by three Chez Panisse alumni. The restaurant was an instant hit with both Berkeley food lovers and restaurant critics who raved about its unique Spanish-inspired menu and world-class wine-and-spirits list. The San Francisco Food Lover’s Guide hailed it as “one of the greatest bars in the world in terms of quality of spirits, selection, and mixology.” Among other accolades, it was voted one of the best restaurants in the Bay Area by the San Francisco Chronicle for eight years in a row, and featured in such national publications as Gourmet magazine. After 37 years in the food business, Chef Olive decided it was time to share his vast culinary knowledge. After opening Kitchen on Fire in 2006, he enjoys teaching eager students, as well as giving back to the community. He regularly volunteers with such organizations as 18 Reasons’ Cooking Matters, St. Vincent de Paul’s Kitchen of Champions and more recently, the Bread Project, helping teaching recent immigrants to become bakers.